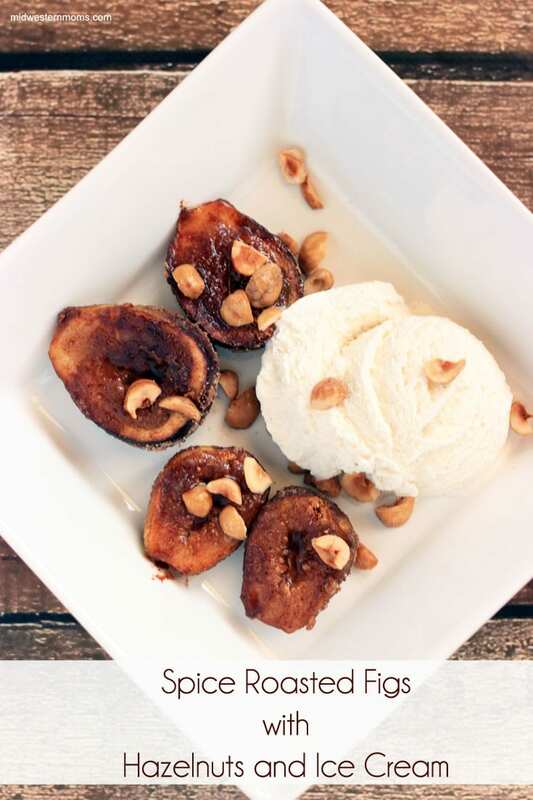 A delicious summertime treat with caramelized figs, toasted hazelnuts and vanilla ice cream. 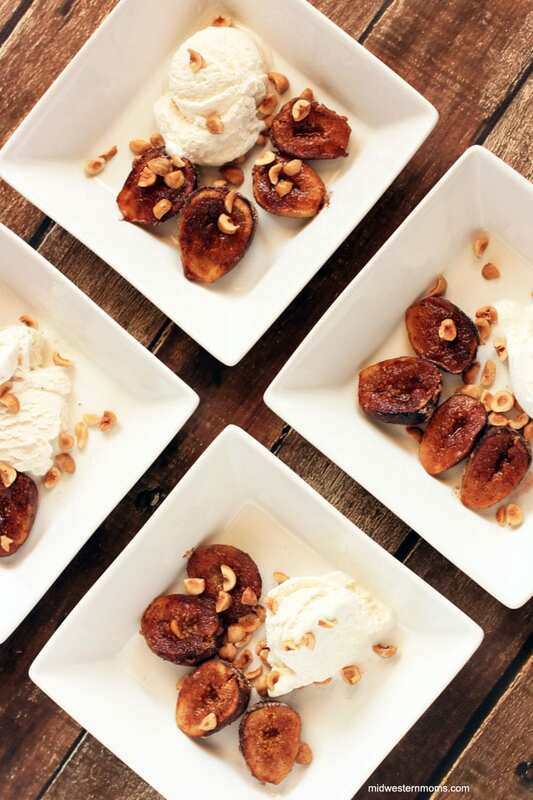 To help celebrate Breyers 150th birthday, I recreated this Spice Roasted Figs with Hazelnuts and Vanilla Ice Cream by Chef Curtis Stone and his wife, Lindsay Price Stone. Breyers® has actually partnered with Chef Curtis Stone and his wife to create 12 delicious recipes that feature Breyers® Natural Vanilla. Each recipe is inspired by every month of the year! You now have a reason to eat ice cream every month! I have to admit, I had an interesting time trying to find the figs and hazelnuts for this recipe as they are seasonal ingredients. Figs are in season during June and August-October. I found out that the local and big chain stores only carry figs during these certain times of the year. I made this recipe in early August, so I had to get these two ingredients at a specialty grocery store. I also had a great learning experience with this recipe. I could only find raw hazelnuts. So I learned how to blanch and toast them myself. If you need to know how to this as well, learn how here. 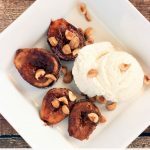 Delicious Spiced Roasted Figs and hazelnuts served over vanilla ice cream. Position broiler rack 6 inches from heat source and preheat broiler. Line a large baking sheet with aluminum foil. Halve your figs and place them cut side down into the spices. Then coat figs a second time with sugar mixture and arrange cut side up on baking sheet. Broil the figs for about 4 minutes. They spices should start to caramelize and the fig juices will start to ooze. Divide figs among 4 bowls. Spoon the Breyers® Natural Vanilla Ice Cream into each bowl and sprinkle with hazelnuts. 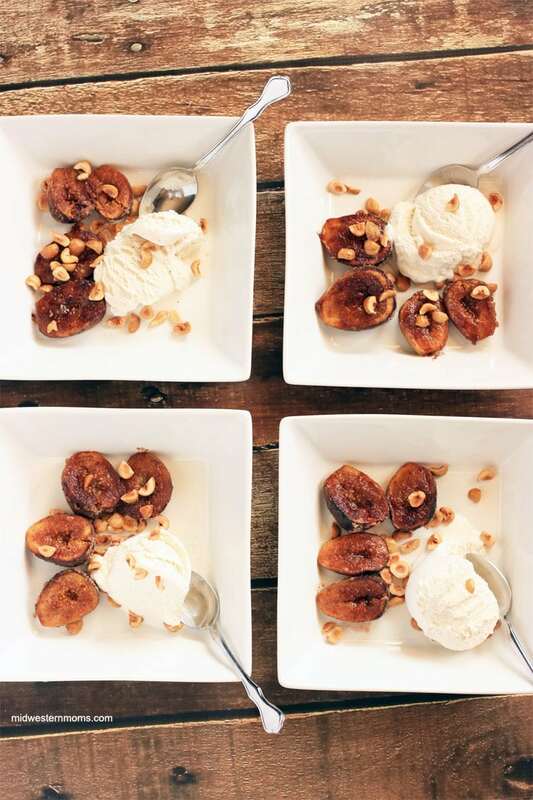 Figs are best served warm with the ice cream. Make sure to follow Breyers® on Facebook, Twitter, Pinterest! This looks and sounds really good. 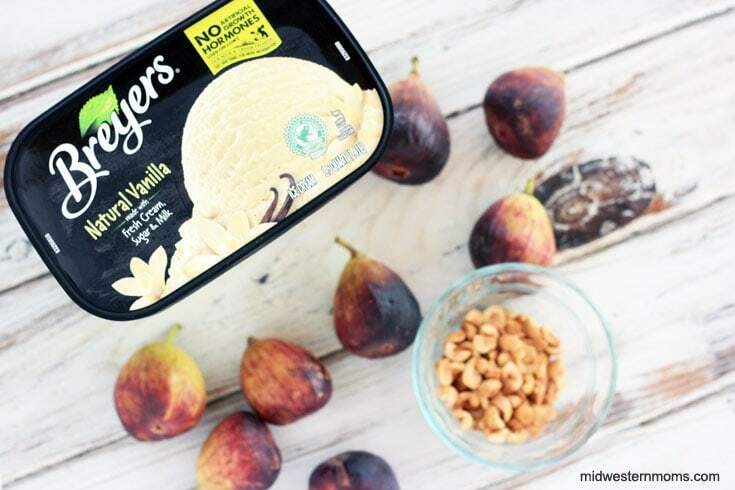 I like figs and of course Breyer’s ice cream is my favorite. Thanks for the idea and recipe.